Selah Groove is founded by a Christian family. 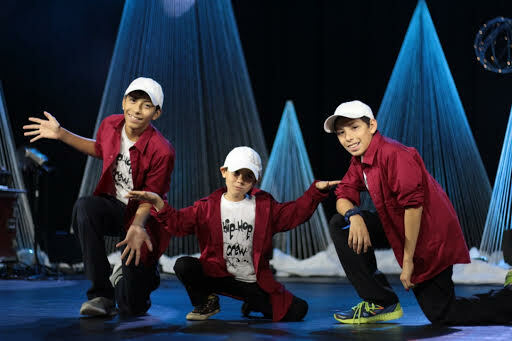 The enrichment Academy sole purpose to build memories for families & help their child shine on stage! It is our desire to impact our world in the creativity of the arts. Selah Groove’s goal is to be a blessing to our community. We never want finances to be a reason someone can not come to enjoy our classes. We have financial aid for individuals currently enrolled in state benefits. Applications are available at the front desk. If you or you know of any one needing assistance for any of our classes, please do not hesitate to inquire. Have your birthday party with us! Let us serve your friends & family for you & enjoy celebrating your little ones birthday! Includes decorations set up, clean up, face painting, games, service to serve your guests, & 3 hours of pure fun! All for $225/$260 craft, spa party! Deposit of $75. Bring us the kids & take a break! We will entertain them with arts, crafts, games, tumbling, dancing & more! We will make it a party they will never want to leave! Includes dinner or lunch, snacks & a drink! We are here morning day or night for you! Just give us a call when you need us! Must give 24hr rsvp. Only need 3 hours $30, siblings $8,$7! Students are allowed 1 unexcused/unpaid absence per 4 classes/session & can be rolled over to next session. 2nd absence in session will be considered a paid class. Private lessons must give 24 hour notice or make up at instructors availability. We teach Quince, Sweet 16, salsa, ball room classes! For more information call us today! Taekwon-Do! Join Team Just 4 Kicks! $105 for 3 classes per week. 50% off for 1st month for all new registrations. Summer Break Camp – Coming Soon! Nature walk, Jewelry, card making, soap, lotions, science, dance, crafts, gymnastics, nerf, dodge ball, basketball & more! *Extended care also available at an additional cost. Need only (2) days?? We have special pricing for (2), or (1) day camp days. Learn to play Guitar, Ukulele, Drums, Flute, Piano,& Violin. Private Lessons: $95 for (4) 30 min. sessions. Call for instructor times 619-479-0850. Group Classes: $65 for (4) 30 min sessions. Homeschool Class Grades k-8th grade. Each student will be graded on assignments, class participation and class presentation(s). Monday: 1:30 PM – 2:30 PM, (Grades 3rd-8th) Junior Achievement (JA) Biz class. $120 for 5 classes. Tuesday: 12:00 PM -1:15 PM (Grades 2nd-6th) Science-Marine Biology with field trips & labs. $120* for 12 classes. *Field trip additional cost. Thursday: 9:30 AM-11:45 AM, (Grades 1st-3rd) Literature. $125 for 12 classes. 12:00 PM -1:00 PM, (Grades 3rd-8th) Social Studies- Egypt, Medieval Times, Government, Field trip* and more! $120 for 12 classes. *Field trip at an additional cost. Friday: 1:00 PM-2:00 PM (All Ages) Tutor Hour. $65 for 4 classes. Come bring your little one dressed & dolled up in her favorite princess dress. She will enjoy light snacks & refreshments, face painting, crafts, games, modeling her dress & best of all what it means to be a princess in todays world! Its Girl time!! Girls- Ages 6-10 come enjoy getting your nails done, face paint, jewelry making, modeling, etiquette, friendship, service & more. $20 per princess $15 for sibling. Next class In May 9th, 2019 from 1-3 PM. Now taking sign ups- 619-479-0850! Come celebrate being a young girl & a Princess! It’s facial, DIY soap & bath bomb making! Let’s learn about how wonderful God made us, how different we are, make new friends, learn to be a leader helping other girls! We will have snacks celebrate with a fashion show at the end! Parents please come early at 3:15 PM to see your daughter shine in our fashion show! We will only take 10 girls! Next class April 27th: 1-3 PM Ages 3-6 yrs. Sign up before Apr 25th to save $5! Class fee $20. Class will fill up! May 4th: Come join us for cooking classes, ages 6 and up. May 18th: Girl club class. 1- 3 PM. *8 and Up. Class is FREE! May 25th: Mother and Daughter Tea & Paint 1- 3 PM. *8 and Up. $25 per mother-daughter pair. Latin Fusion coming soon! —-very energetic Latin dance class. Lots of fun, complete with spins, sharp movement, and crisp turns. We incorporate Salsa, Merengue, Cumbia, Flamenco, Afro Cuban etc… movements and music. Singing/dancing, parachute, tumbling, obstacle course & more. We will make a fun art craft with kids hands & feet! Lita began her study of dance in Elementary school at Kellog performing arts school. She took modern, jazz, tap, square dancing, flute & violin, drama & singing lessons while attending. She continued her study at All That Jazz dance studio & with the Hilltop Junior High band class. She graduated from Chula Vista High school with the SCPA program. Lita then continued her dance study at Shenandoah University in Virginia. During her study at Shenandoah University she was given a variety of assignments to develop new classes to encompass all forms of the arts in her classes. She began a Mommy/Daddy & Me class & a variety of classes to teach young children about music, dance & art. She has taught a variety of her classes at many dance locations. Many of her students parents encouraged her to open her own studio. She is grateful for those that have encouraged her & owes her success to those that believed in her teaching technique & style. It has been her dream to open a studio of dance, art, & music with inspiring today's generation in a Christian environment. She was given a great opportunity in elementary school & wants to give that same opportunity to as many children & their families she can. All of our instructors/interns are trained thru the Selah Groove Curriculum & agenda syllabus. We pride ourselves in giving our students the utmost attention to strive to their maximum potential. Our music students are given a home work & progress report sheet to complete for their next lesson. Dance, gymnastics & cheer students are given group choreography & solo combinations for their dance performance & theater recitals. Tiny tot, gymnastics level 1 instructor & camp counselor. Rochelle has a background of 10+ years working with children. Specifically, Rochelle runs the children's ministry at her church where she conducts class schedules, talents shows, vacation bible school and guitar lessons. Rochelle thrives in her creativity and enjoys preparing structured schedules where learning, exploring and having fun are all involved. Rochelle's passion is to help children identify their gifts/talents and flourish in them. Music Instuctor for Piano, Drums, Violin, Ukulele & Guitar. Sam has been teaching music to many kids ages 7 & up at various music studios in San Diego. Front Desk Asst. & Asst. Ballet instructor. 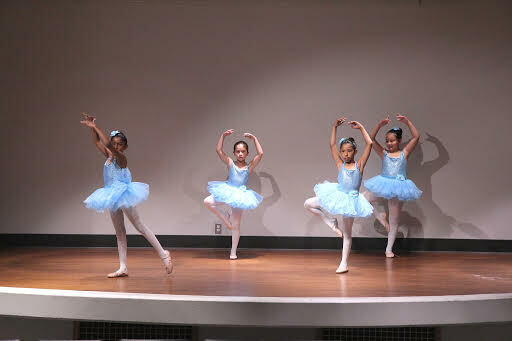 Jazmin currently takes our pre-pointe class as well as takes dance at the School of Performing Arts in San Diego. Jazmin has been instructed in our dance & gymnastics curriculum at Selah Groove.